A fun and girly twist on another super-popular theme: fairy tales! Gretel joins the Grimmtastic quest for justice in a world where the E.V.I.L. Society must be stopped… and finds a candy cottage along the way. Last book in the Grimmtastic Girls series. Snowflake isn’t sure which fairy tale character she is. But with her magical powers causing lots of trouble, she’s definitely on thin ice! So just in case she might be a villain, Snowflake is chilly to her classmates. Can she keep her cool until she knows her whole story, or will her social life at Grimm Academy be permanently “frozen”? 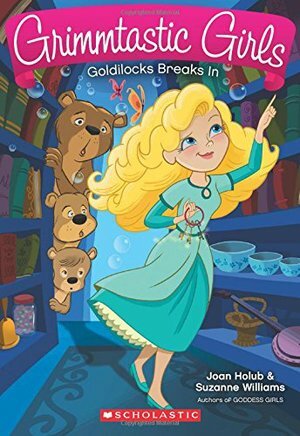 Goldilocks is so eager to make friends at Grimm Academy, she’s even tempted to accept an invitation to join E.V.I.L. — it’s just nice to be included! But she doesn’t want to be a villain. Can Goldie get inside the secret society and do some good? Sleeping Beauty — who just goes by her middle name, Rose — has always been a daredevil. 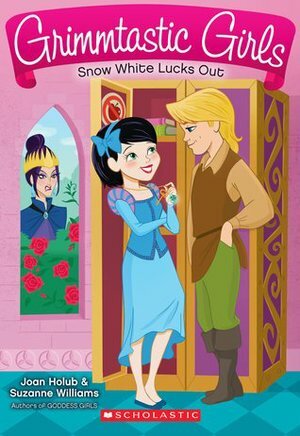 But according to her fairy tale, after her twelfth birthday Rose must avoid all sharp objects. That isn’t easy at Grimm Academy, where enchanted items can also be dangerous. 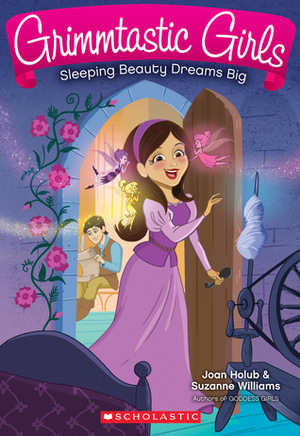 Rose will have to stay wide awake to keep out of trouble-and to find her magic charm! Rapunzel’s magical fast-growing hair can be a nuisance, especially when an accident gives it magical powers she can’t control! 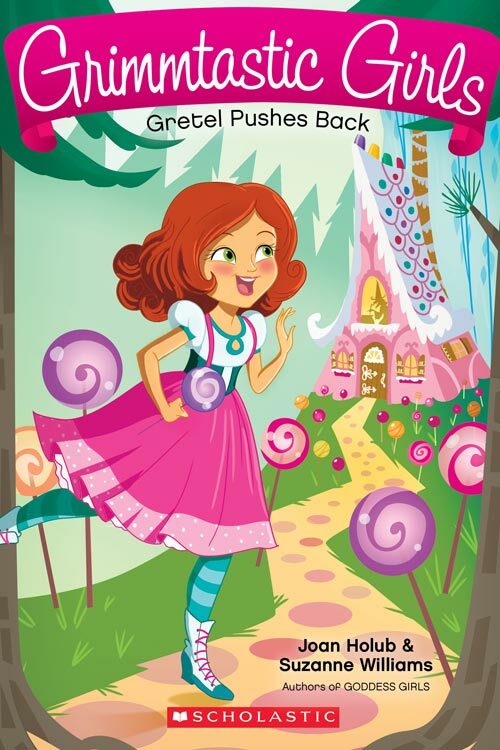 But Rapunzel can’t let her grimmiserable hair woes distract her — she and her friends, Cinda, Red, and Snow are trying to save Grimm Academy from the E.V.I.L. Society. 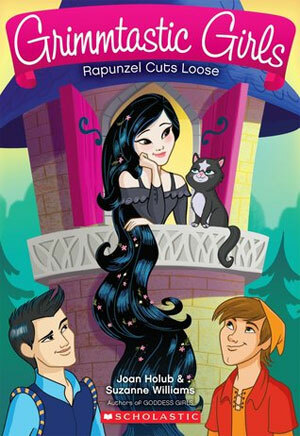 Once Rapunzel tracks down her magic charm, she won’t let a bad hair day get in the way of stopping E.V.I.L.! Snow White might be jinxed — but at least she has the other grimmtastic girls to count on! She is having terrible luck. Her stepmom, Ms. Wicked, always puts her down, and is a member of the E.V.I.L. Society that is threatening Grimm Academy. Snow’s new friend, Prince Prince, seems to be around for all her most grimmbarrassing moments. And Snow, Red, Cinda, and Rapunzel have been searching the castle for the treasure they know is hidden there, but it’s nowhere to be found. 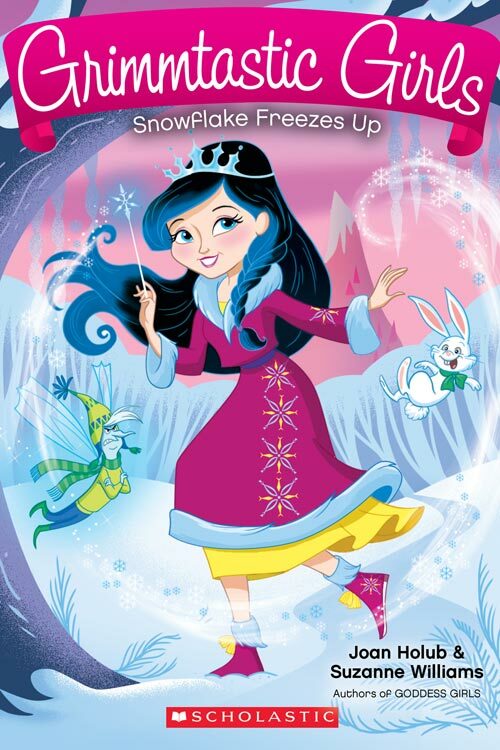 Can Snow find her own magical charm, end her bad luck, and protect the school from E.V.I.L.? Red Riding Hood is thrilled to try out for the school play. Acting is her dream, and she’s great at it–too bad she has stage fright! After a grimmiserable audition, Red decides to focus on helping her friends Cinda, Snow, and Rapunzel save Grimm Academy from the E.V.I.L. Society. 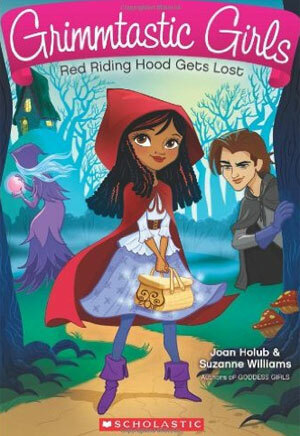 But when Red gets lost in Neverwood forest and runs into Wolfgang, who might be part of E.V.I.L., she needs her magic basket and a grimmazingly dramatic performance to figure out what’s going on! Once upon a time, in faraway Grimmlandia, a Grimmtastic girl named Cinderella is starting her first week at Grimm Academy on the wrong foot. Cinda’s totally evil stepsisters are out to make her life miserable. The Steps tease Cinda, give her terrible advice about life at the academy, and even make her look bad in front of her new friends, Red, Snow, and Rapunzel! 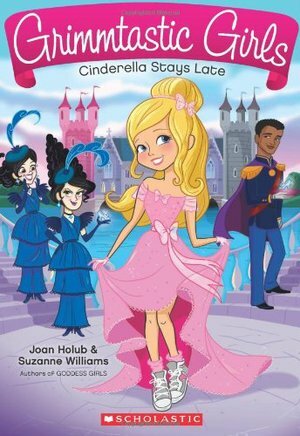 But when Cinda overhears the Steps plotting a villainous deed that could ruin Prince Awesome’s ball, Cinda, her new friends, and a pair of magical glass slippers have to stop them–before the last stroke of midnight!